Good day to you, fellow beauty bloggers or followers! 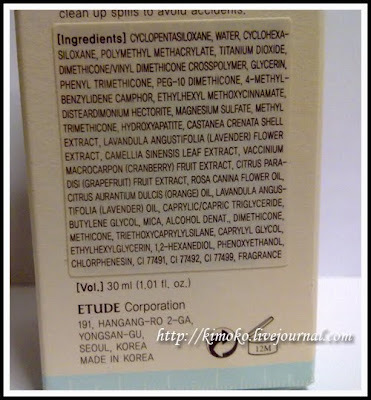 Today, I will be reviewing a product from Etude House that I had just purchased a few weeks ago. I though I should review this product now because I have already used it for around 2 weeks. I always give it a good length of time before doing a proper review on it. Shine control BB cream supplies moist, flawless complexion coverage. Oil free/Paraben Free/Talc Free. This picture is taken from kimoko's blog because I lost my box when I purchased it, so I was too lazy to type the whole thing. Well, credits still goes to kimoko for this picture, thank you. I use it as a makeup primer and makeup base. Using one pump of the product, I blend it with my fingers all over my face. It has a pump to dispense the product, so I can maintain its hygiene. It's quite small, making it easy to carry in a travel case. The texture is not thick, so it feels very light on my face. Blends effortlessly into my face. Really mattifies my face, especially my T-Zone are for 3 hours! Did NOT break me out! 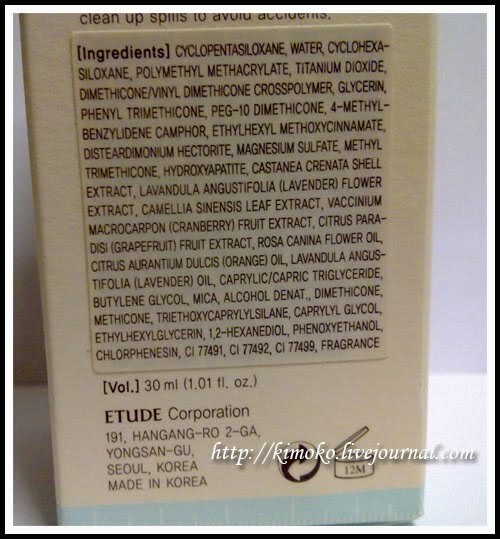 Readily available in most Etude House counters. Overall, I really like this product because it has similar properties to a tinted moisturizer and is very good at controlling my excess oil. Well done, Etude House, I salute you.